Greetings, dear readers! 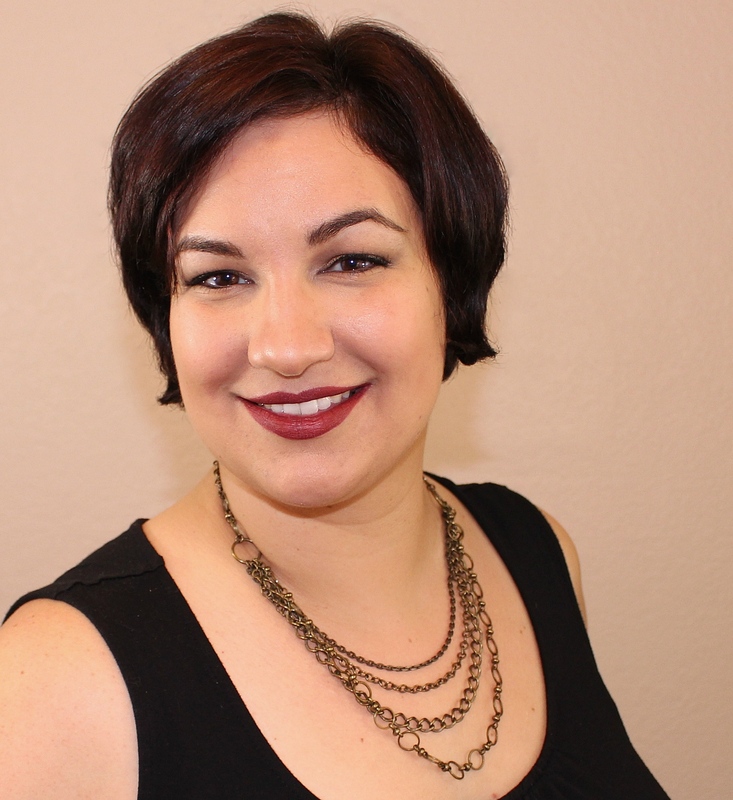 I am back with another beauty find from this summer's Cosmoprof North America trade show event in Las Vegas! 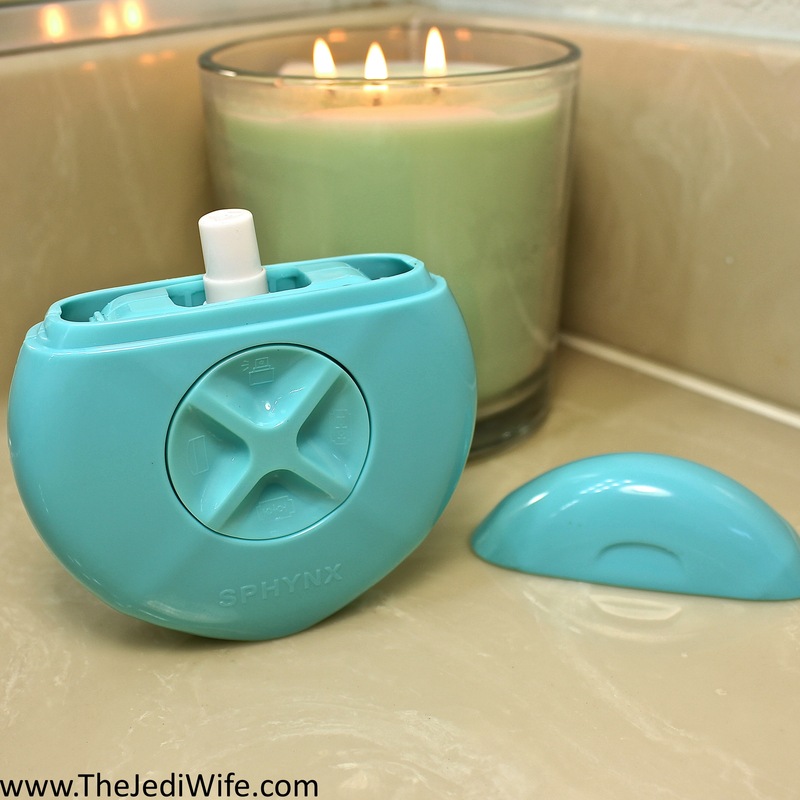 Today's blog post features the 3-in-1 portable razor by Sphynx. Named for the Egyptian hairless cat, this product was developed to be a truly portable razor without having to worry about shaving next to the sink at your nearest rest stop! It's also great to catch those spots that you may have missed during your 5 minute power shower because you really wanted those extra 10 minutes of sleep, or if you're like me, just prone to somehow skipping over spots no matter how thorough you try to be. Let's get a closer look at the product and how it works! 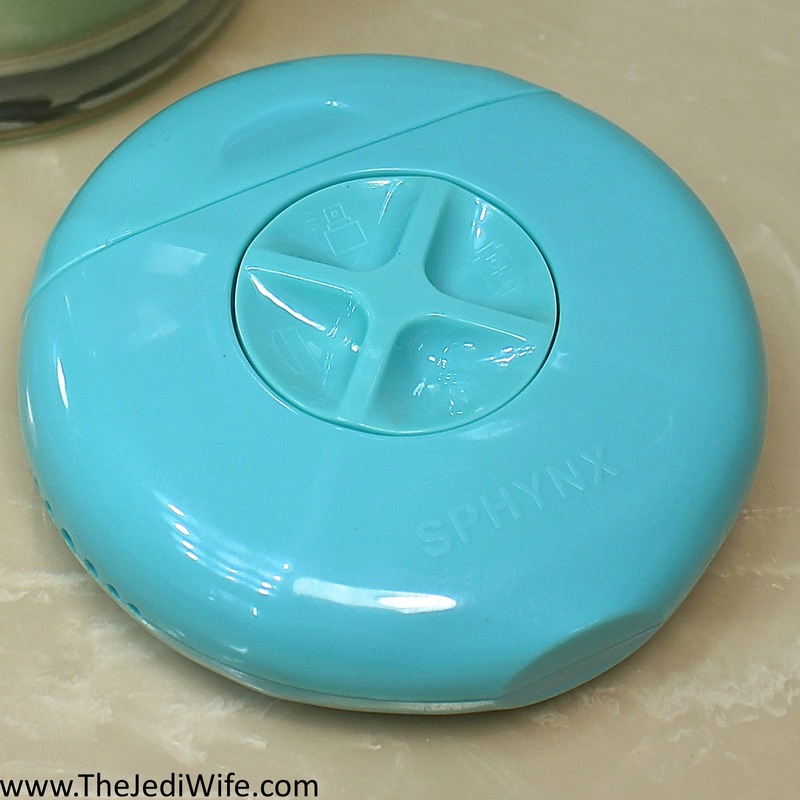 The Sphynx portable razor is a hand-sized plastic disc that is really easy to toss in your bag to take with you. 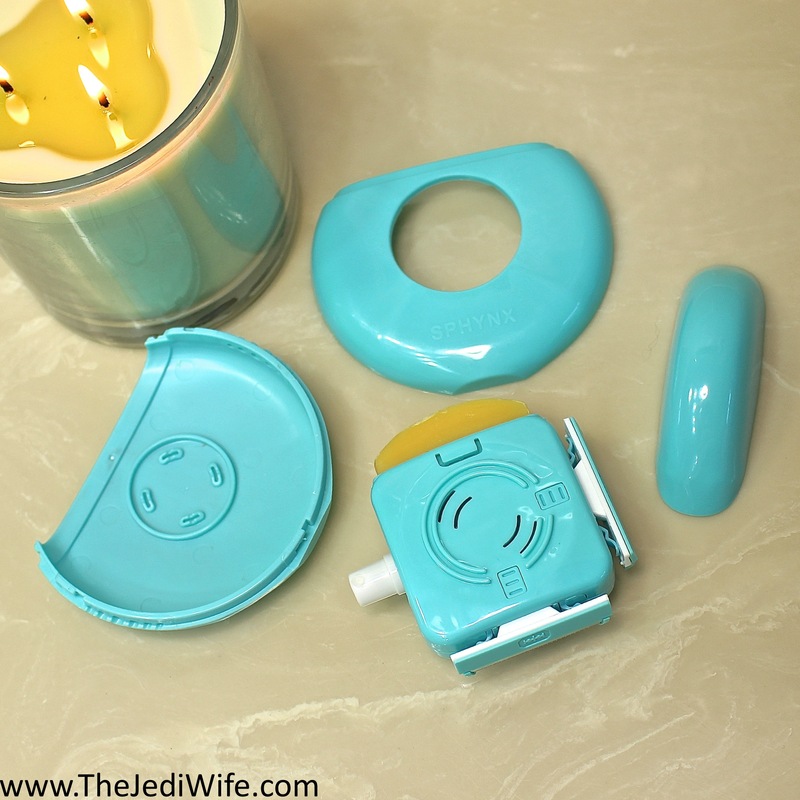 The cap piece snaps off easily, but not too easily that you have to worry about it coming off in your bag, and the center piece rotates as you snap each desired portion into place for shaving. The first step is wetting your skin, and the Sphynx keeps you as a truly portable razor by incorporating a small vessel to contain water with a little spray nozzle. The water receptacle sit nicely inside the device, and you can push on the spray nozzle while it is in place. While testing out this unit, I discovered it really depending while and I was spraying with as to whether or not I could comfortable dispense water. When spraying with my right hand, I could leave the water sprayer in the Sphynx unit, but when I needed to spray with my left, I found it more comfortable to just remove the spray bottles from the unit and then returned it to its place once I was finished with it. Obviously this is my personal experience, but it is worth noting that removal is an option, both for spray and refilling purposes. This is what the spray bottle looks like when removed. After you have wet your your skin, you can move on to the next step. Twist the center portion and little moisturizing bar clicks into place. You then proceed to glide this over your damp skin to add hydration and prevent nicks while shaving. The moisturizing bar is unscented so you don't need to worry about overpowering scents or unwanted fragrance. These add a nice amount of moisturization and lubrication, but they aren't heavy either. Once you've rubbed the moisturizing bar onto your skin, you can then proceed to click the Sphynx over to the next setting for the actual shave. There are two slots within this unit to contain a specially-fitted razor. These razors all have a single blade for quick cleanup and a fast shave. Because of the single blade, it isn't designed to be your primary day-to-day razor, although having two razors at your disposal makes it a great option for traveling! The water bottle should carry you through the life of the Sphynx razor, but what about the blades and moisturizing bar? They obviously will need to be replaced, it it is very easy to do! Along both sides of the Sphynx are these rows of holes, and it makes popping the unit open very easy. Below is a photo of an opened unit and all the contents. As you can see from this photo, the back of the Sphynx contains a raised circle with stopping points. The inner portion rests in this area, and the unit snaps together easily with proper alignment. There are two ejector push buttons, one at each razor, that when decompressed, allow the individual razors to pop out of the unit. Sphyx sells a refill kit for the 3-in-1 razor. This refill kit includes a moisturizing bar and 4 razors blades, and they easily snap into place. I have really enjoyed testing out this product, and it is great for on the go shaving! Obviously the unit itself is larger than just tossing a razor in your purse, but if you value your purse contents, not to mention your fingertips, the Sphynx is the perfect option for portable shaving. Both the Sphynx 3-in-1 razor and the refill kits can be purchased from the Sphynx website. The unit retails for $14.99 and is available in pink, black, purple, and aqua. The refill kit retails for $7.99 and can also be purchased with the colour-coordinating razor blades. Heck, you can even buy different colours for your razors to make your Sphynx even more interesting! That's definitely something I would do, so if that appeals to you, you won't be alone in that endeavor! 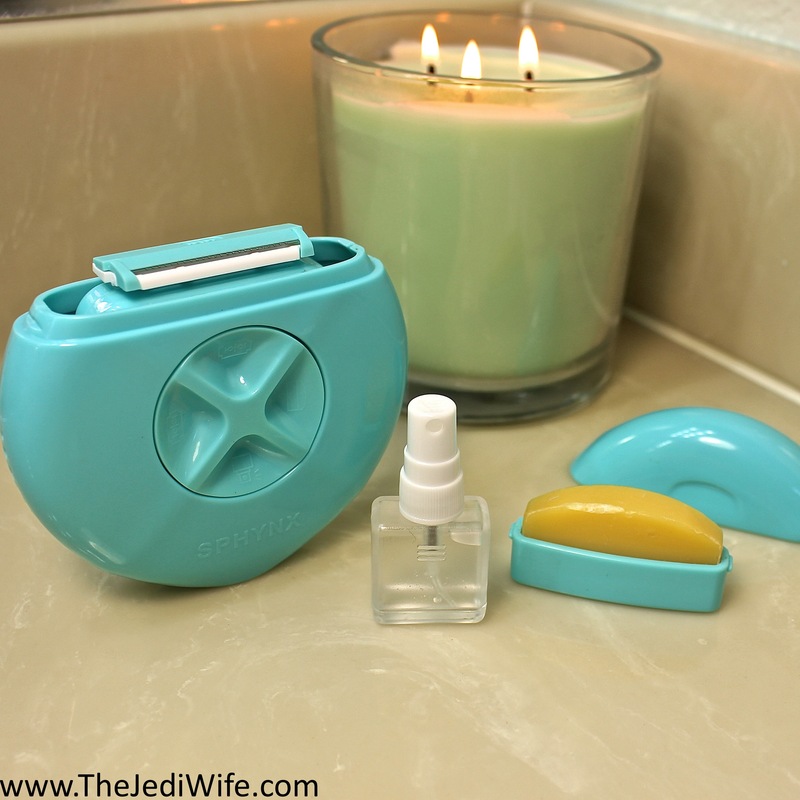 Have you tried the Sphynx 3-in-1 portable razor? Are you interested in the convenience of a truly portable razor? I'd love to hear your thoughts on this! This is really cool! I need to look into this. It really is! I never would have thought of it, but I definitely need it! Ha! Please do! 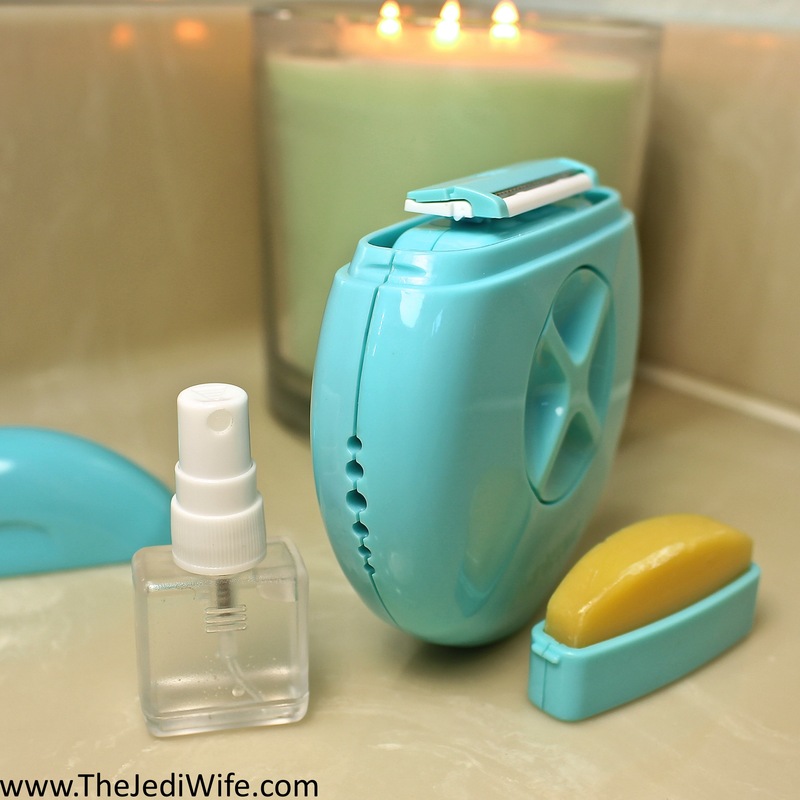 It is such a great idea if you ever need to shave on the go! I needed this today while I was out and saw a fuzzy knee! Definitely the story of my life! Hahaha! It really is! I love mine! How brilliant that it comes with a spray bottle for water! Seriously, a nifty little product! I know! They really thought of everything! I'm super confused by this contraption. What is confusing you? I'm happy to answer questions or explain further if you would like! What a great idea! This would be so handy for traveling. Oh yes! Especially if a true shower or bath isn't in your travel plans, like camping! I still like silky smooth legs, even when roughing it!